Picnic Lunch pickup upon request/ to be enjoyed at a winery. *Lunch price is not included in the tour. 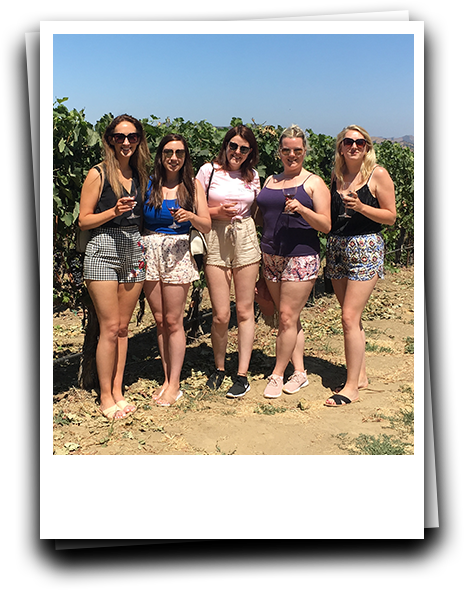 If you don’t have a full day to dedicate to a wine country tour, we have a perfect option for you. With a later pickup time, you can sleep in a little and still enjoy two wine tastings at gorgeous estate wineries and/or boutique tasting rooms in the heart of the beautiful Santa Ynez Valley. You’ll also have the opportunity for a delicious local olive oil tasting on a farm, and a visit to the quaint Danish Village of Solvang. Picnic lunch may be added to the tour up on request (the price of lunch is not included in the tour).